Doonesbury cartoonist Garry Trudeau began including Donald Trump in his comic strip 30 years ago. His early portrayals turned out to be prophetic on the political front. After sketching Trump for decades, Trudeau shares some of his YUGE! opinions. 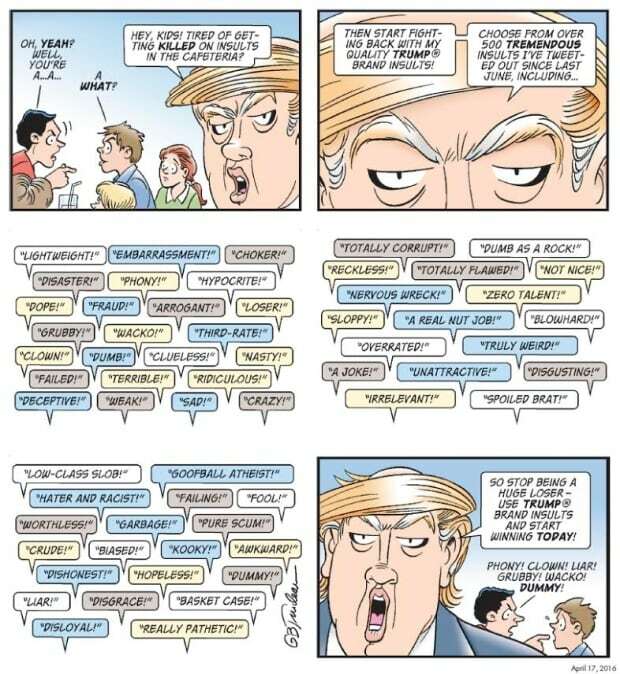 Pulitzer prize-winning cartoonist Garry Trudeau has been drawing — and skewering — U.S. presidential hopeful Donald Trump for more than 30 years. Including a prediction that Mr. Trump would one day run for the country's top job. 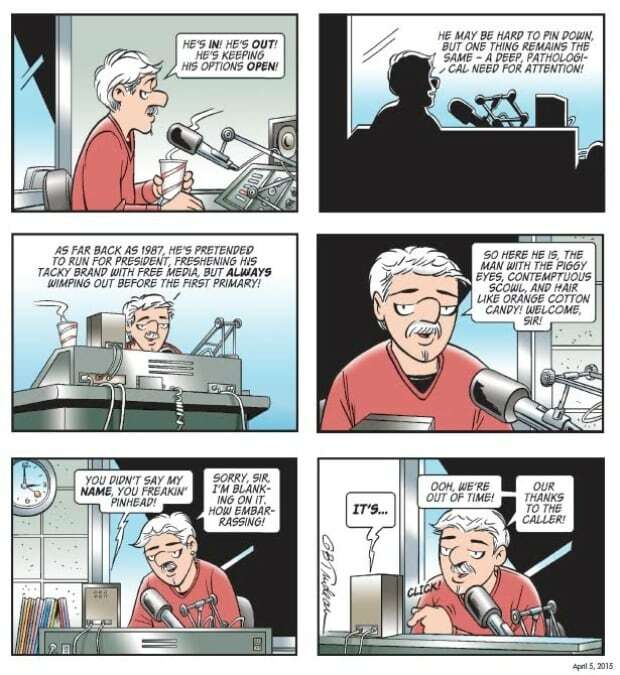 Trudeau has been capturing Trump's brashness and bullishness — hate it or love it — since 1987 in his venerable and politically charged comic strip Doonesbury. A new compilation of Trump-related cartoons are in Trudeau's new book, Yuge! and he tells The Current's Anna Maria Tremonti why he is so drawn to drawing Trump. 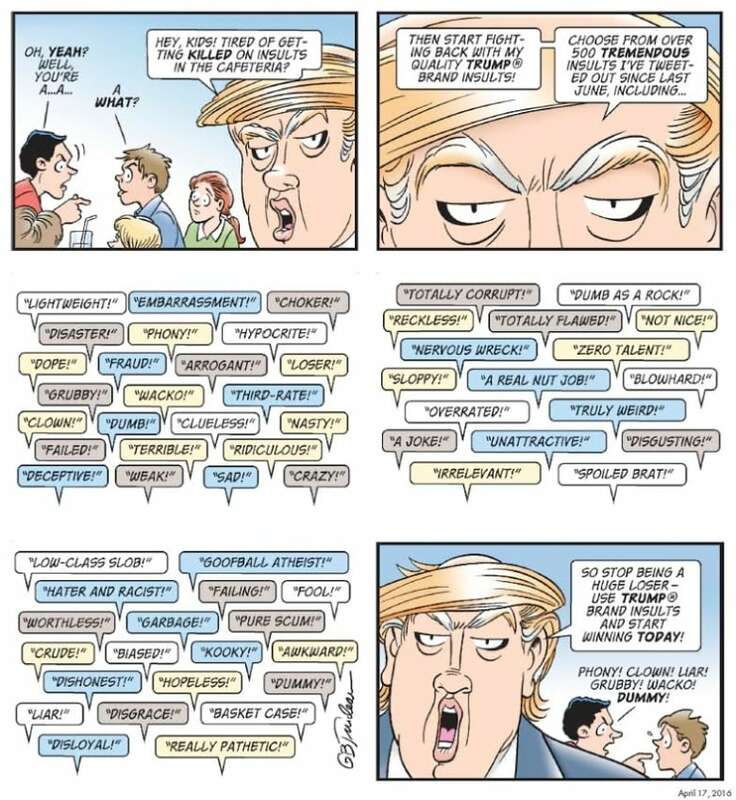 "In the U.S., we're suffering from a Trump derangement syndrome. He uses up so much of the oxygen... it's like having a big air horn installed in your head," says Trudeau. 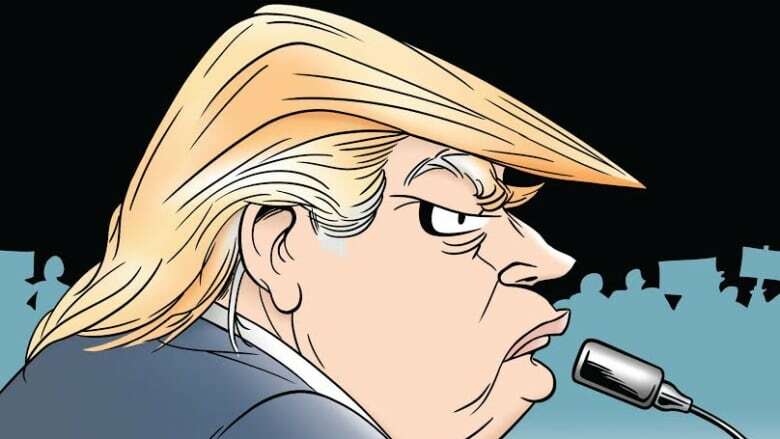 In the 30 years Trudeau has been drawing Trump the only thing that has changed in his cartoons are Trump's physical features — including his famous — or infamous hair. "I go all the way back to when Trump had brown hair ... But then you know as the years went by he turned into this aging strawberry blonde and then [he] set his hair on fire to run for president," Trudeau tells Tremonti. 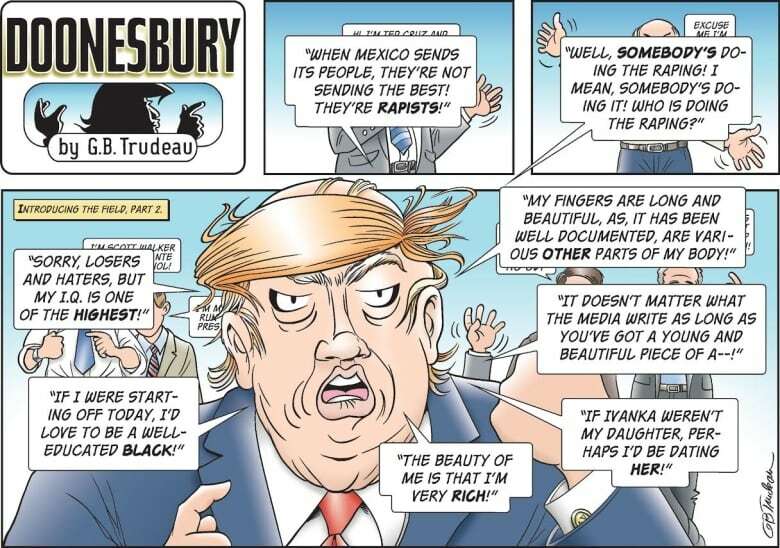 Trudeau says drawing Trump is an experience. "I describe it as a journey, not a destination, because you can never really reverse engineer what he's created up there." Listen the full conversation at the top of this post.